The February 8 episode of Pinoy Big Brother Otso was indeed filled with kilig, fun, and excitement as the housemates continue their preparations for the forthcoming "Trashion Show" that will be held this Saturday, February 9, inside the house. 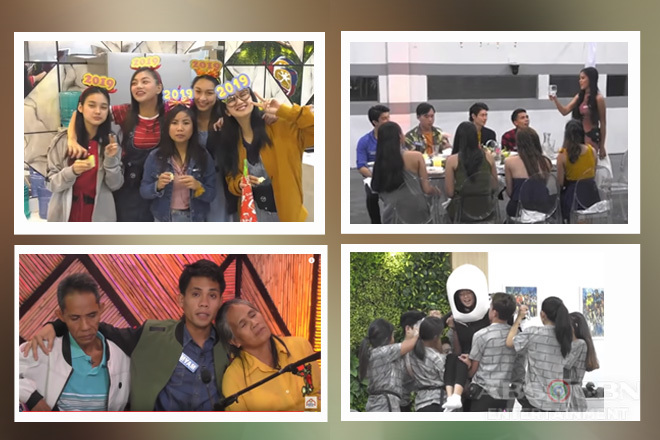 However, while the other housemates were busy building their respective costumes, four of them had to temporarily stop -- Andre Brouillette, Apey Obera, Fumiya Sankai, and Yamyam Gucong -- as Kuya gave them their punishment after committing different violations. It can be recalled that in the past episode, they were told to do the "Gripo Challenge" in order to end their predicament. They had a hard time accomplishing the task since it was difficult to hold the water in a broken container just like what they used, yet they were still able to progress. In spite of the difficulty they experienced, the four violators were still able to successfully finish their special task and remove the broken bucket pieces from their both hands. Before going back to their weekly task, the aforementioned housemates had a hearty talk with Big Brother inside the confession room, wherein they imparted what they have learnt from their punishment while Kuya reminded them about the real essence of it. As soon as his punishment was over, Andre immediately joined Lou in rehearsing for their runway parade in the activity area. To their surprise, the stage was too narrow compared to the ones usually utilized in fashion shows, making it hard for two people to strut on it at the same time. Just when they thought that idea they'd come up with was brilliant, Kuya told them that what they were doing was wrong and two housemates shall be able to cross the catwalk at the same time. As the other housemates joined them in the rehearsals, they all found it difficult to walk at the same time with Wakim Regalado because of his humongous costume that always hit the person approaching him. After several trials, he finally came up with the idea of lifting his prop up for others to easily move as well. As they all went back to finishing their respective trashion pieces, Kuya called the task leaders up to the confession room to advise them regarding the new mechanics of their task. the stage lest 1% will be deducted from their total score in their every miss. While the housemates are busy creating their attires, Big Brother tapped the Star Dreamers to help them by providing their hair and makeup services, in which they've been training for the whole week as their daily job. Lou and Andre talked to their reps Shawntel Cruz and Mary Grace Lagos regarding their needs and what they expect. Then, they proceeded to the look test. 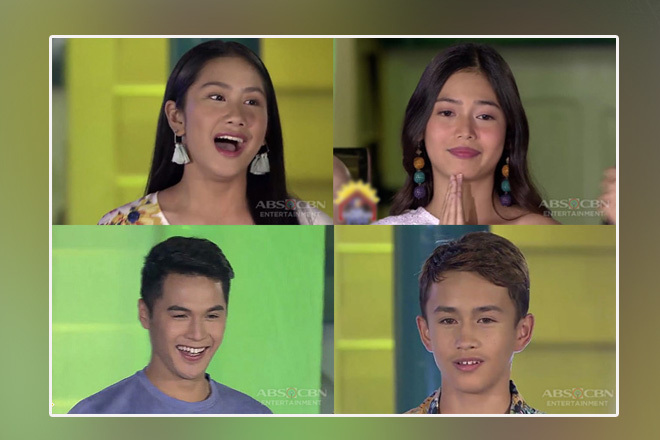 Apart from being a weekly task, the Trashion Show will also serve as a surprise for Lou as Kuya divulged to Andre that her two sisters and her mom are going to grace their mini show as surprise guests. Since this should remain a secret to her, Andre had been very careful in relaying this news to the other housemates. Unbeknownst to Lou, her Mommy Joy, Ate Nikki, and little sister Raf were already in the confession room and chatting with Kuya. They talked about how she is as a daughter and a sister to their family and how proud and supportive they are of her modeling stint. Everyone were arguably thrilled when Andre, who's romantically linked to her at the present, met her family to instruct them of what they are going to do during the event proper and bonded with them somehow. For the first kilig part of this episode, the viewers were probably shookt and in awe when Yamyam revealed that he's attracted with the sweet and pretty Tori. But he has a girlfriend waiting outside for him so instead of pursuing her himself, he just offered his PSB (Pogi Spiritual Brother) Fumiya his help if ever he plans to who her, which the latter declined since he doesn't harbor any romantic feeling towards her. Of course, the blossoming loveteam of Lou and Andre should not be missed as they thrilled us anew with their romantic moment in the midst of their preparations. He offered her a massage on the head to somehow relieve the exhaustion and stressed caused by being one of the overall in-charge to their their task. We can't help ourselves but be excited with their "Trashion Show"!